The primary concern when you want to know what to wear in Srinagar is the weather, but that should not be the sole consideration in your sartorial choices. This is because culture as well as socio-political circumstances need to be taken into account as well by the smart traveller, especially in areas like the Kashmir, which have historically been places of dispute as well as unrest. Srinagar itself was fairly recently a place of some terrorist acts that did not spare tourists, and has only calmed down in the past decade. Even if the statistics show that violence in the area has taken a sharp dip in the last ten years, it is best to be prepared for all eventualities, and this actually touches on what you are wearing. Generally, it is best to avoid drawing too much attention to yourself, just to bring down the chances of being targeted by kidnappers (a fairly rare occurrence, but still a possibility) from unlawful factions. Stay away from flashy clothes and ones that display a lot of skin: this is generally the rule for travellers in India, anyway, due to the country’s conservative roots. Wearing jewellery is certainly not advised because you would just be advertising yourself as a target for pickpockets and ladies should keep their stilettos and high heels packed away unless attending a formal event in a closed or gated venue; the more sensible your footwear, the better, as it provides the ability to move fast in emergencies and the ability to negotiate less than pristine sidewalks easily. Note that it is best to have closed shoes, especially in the winter. 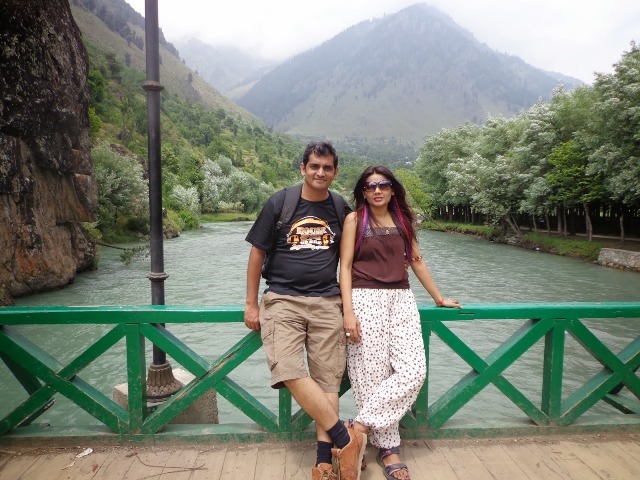 Plain clothes are thus ideal for Srinagar travellers. If you are visiting in the winter months, which are properly December to February, you should definitely pack a coat as well as some warm and woollen jumpers and tops. Srinagar’s summers (July, August, September) can go up to the high 20’s and even reach 30 degrees Celsius on occasion, but its winters drop to below zero frequently. And yes: this close to the Himalayas, you will have a good chance of seeing some snow falling. If you are not visiting in the winter, though, then it is best to pack just a light coat of some type. However, be warned that you should prepare for wet weather too around March as well as August: both of these months see quite a bit of rain, with the former being especially wet. If you really want to fit in and stay relatively comfy, you may want to check out one of the most iconic garments of the country, which is worn just about everywhere and by just about everyone: the shalwar kameez, which is basically a duo of a tunic paired with a set of loose-legged trousers. If (and only if) you feel comfortable with wearing something like this, then it is worth giving it a try for a whole day: it is surely not a bad bet for what to wear in Srinagar.